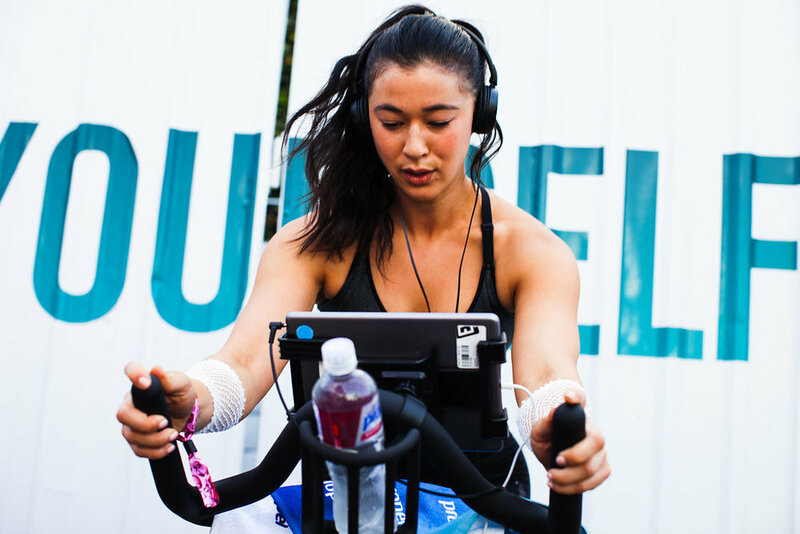 Propel Co:Lab Fitness Festival 2018 — . 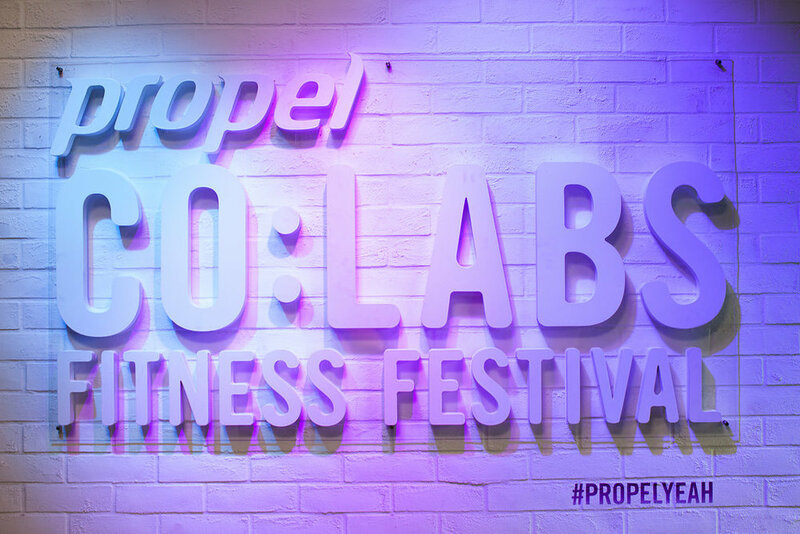 This weekend I attended Propel’s Co:Labs Fitness Festival in West Hollywood, CA! 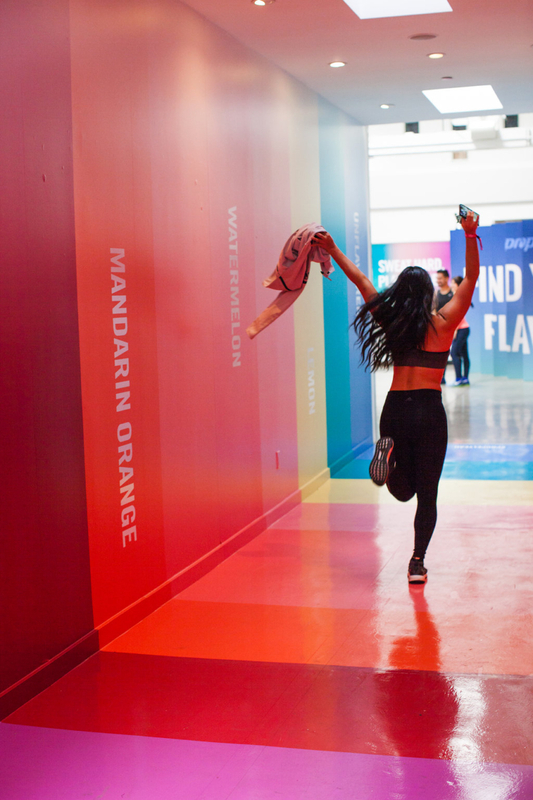 Co:Labs combines two of my biggest passions: Fitness and Music. 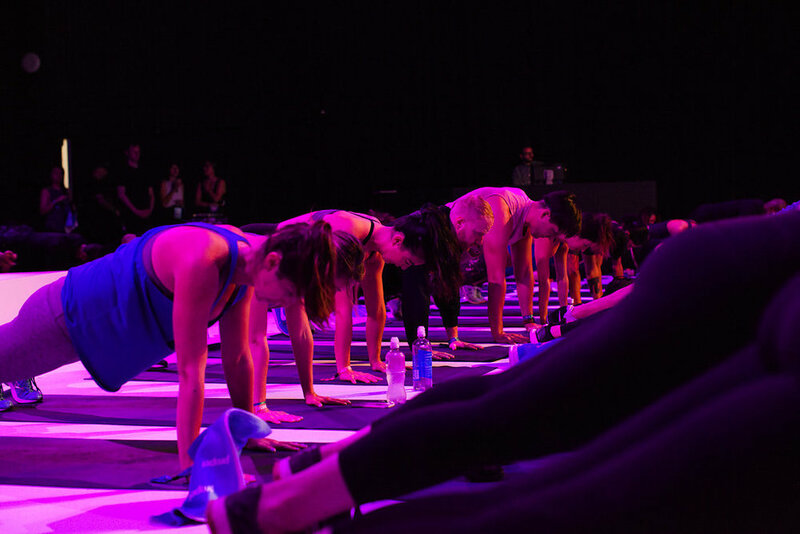 Propel recruited the hottest instructors and workouts in Los Angeles and paired them with musical acts like Ludacris, Icona Pop and Mark Ronson for a truly immersive wellness party. I partnered with Propel to sign up for my favorite classes and check it out. Co:Lab was held at Quixote Studios and Propel managed to totally transform the soundstage spaces into a wellness dreamland. 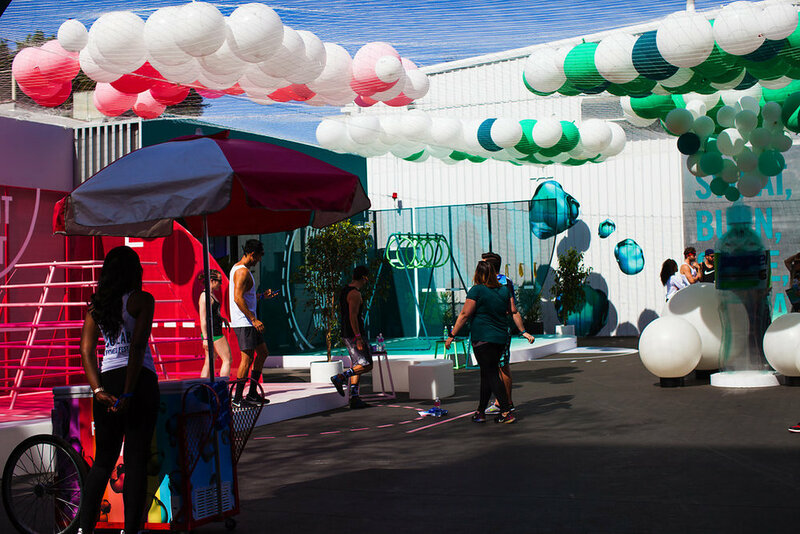 After a quick stop at registration, your wristband grants you access to the outdoor lounges, workout essentials powder rooms and of course, your workouts. The outdoor lounge was surrounded by classic healthy eats like acai and grain bowls, nitro coffee and free Dream Pops (Vanilla Matcha, swoon). 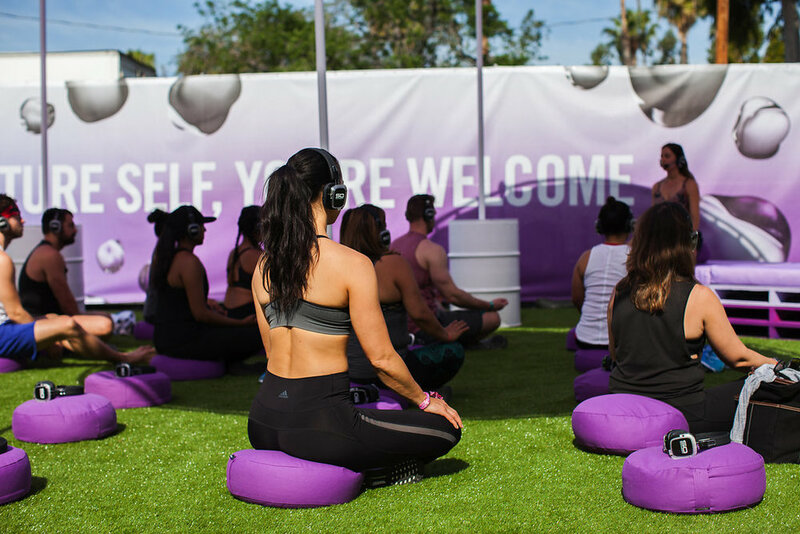 The Wellness Zone was nestled in a peaceful corner where we wore noise cancelling headphones to clearly hear the mediation, sound bath and healing leaders guiding us through our practices. Indoors were the four workout studios. The setting was stunning and the lighting made me feel like I was on set of a music video :) With celebrity trainers like Harley Pasternak, Gunnar Peterson and Rachel Brathen, and studios like Prevail, Platefit, NW Method, Model Fit and Playlist Yoga, it was nearly impossible to decide who to take! All in all, my two favorite classes were Mark Ronson x Speedplay x Xavier Quimbo and Heather Lilleston of Yoga for Bad People. The Mark Ronson x Speedplay setting was loud and epic feeling while Heather’s was intimate and personal which is quite a task in a normally stark soundstage. One of my favorite activities was I testing my sweat with Gatorade Sports Science Institute. My former hyper body aware self strived to maintain a salt free diet. Sodium was the enemy because high levels make you bloat and retain water ….BUT in sport performance the retention part is critical to optimizing your performance. The longer your body holds on to fluids (vs peeing them out immediately) the longer your muscles stay hydrated helping you get the most out of your workout. GSSI drilled in that overheating while working out will shut your body down. To prevent this, you release the heat via sweat. Sweating helps keep you cool and your body safe. However, if you don't replace the fluid you loose while you sweat, you could find yourself in danger. Dehydration can of course cause heat stroke, but it can also affect cognitive and muscle function.. no bueno. Sweat Rate = LOW (.7 L/hr). This means it’s easy for me to stay hydrated WHILE working out since my hydration loss is low. The heavier you sweat, the more you need to keep up with replenishing your bod. Sodium Loss = MODERATE (765 mg/hr). I was drinking @propelwater which is what helped keep the sodium loss at a healthy level… Now I understand why sport drinks include salt! Also didn’t realize sodium was an electrolyte am I alone in this?? Combining the two rates, my fluids loss was -.3% which is great, meaning I kept up with fluid intake. When this number reaches -2% and lower, you begin experiencing major performance problems as your body is craving hydration. I loved so many things about Co:Lab Fitness Fest. Aside from the great class selection and awesome set up, I loved working out next to so many new faces. Men, women, adults, teens, athletes, non athletes, there was room for any one at any ability. I also love that the classes all felt full of energy, but not so packed that I didn’t have room to workout. The instructors all did a great job of tailoring their workouts for a large group without making us feel cheated. I woke up so sore and so stoked for next year! This post was sponsored by Propel however the views are all my own!